The robotics revolution has begun, and there’s no turning back. Robots touch every corner of modern life. They’ve changed the faces of fields ranging from business, engineering, and communications to transportation, agriculture, medicine, and national defense. Robots have tipped the world’s economic balance by profoundly reshaping entire industries while generating entirely new ones. As robotic technology continues to advance, the possibilities seem boundless, but such rapid, relentless change also presents many challenges. How should our society prepare for a future so full of uncertainty, promise, and risk? What can we do to harness the power of robotics to serve us best? 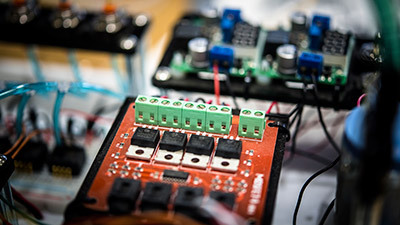 Complex questions like these gave rise to the Collaborative Robotics and Intelligent Systems Institute (CoRIS) at Oregon State University, and the search for answers will fuel its mission for years to come. 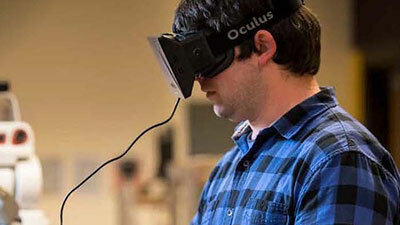 Oregon State University is uniquely positioned to serve as the home of the Collaborative Robotics and Intelligent Systems Institute (CoRIS). Our robotics program is recognized as one of the country’s best, where more than 25 faculty and 180 top-notch graduate students conduct cutting-edge robotics research or apply robotics applications. Reaching beyond technological development, they explore robotics and intelligent systems holistically, considering their impact on people and the potential for robots to shape the future. Our young and visionary cadre of robotics and AI faculty are unencumbered by past conventions or entrenched ways of thinking, freeing them to imagine the technical, social, ethical, and economic implications of robotics without historical constraints. And Oregon State’s collaborative culture encourages interdisciplinary research and innovation. Our early success, strong research reputation, and critical degree-granting programs cement the university’s place as a national leader in robotics and AI. CoRIS is pulling together all of those key pieces to meaningfully impact the nation and the world. Many technology leaders have likened the explosive growth of robotics to the spectacular expansion of the internet in the 1990s. Robots seem to be everywhere and unavoidable. 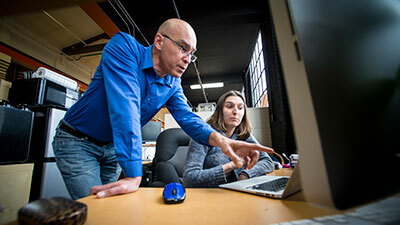 Oregon State University’s College of Engineering has established a new research institute to advance the theory, design, development and deployment of robots and intelligent systems able to interact seamlessly with people. 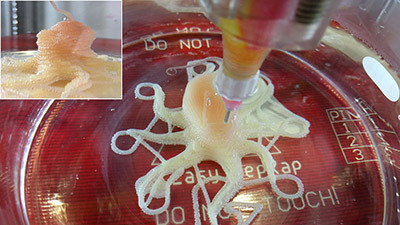 Building robots that are entirely soft requires the development of new components from valves to circuits, as well as ways to control deformable arms. Robots are poised to impact society in ways as momentous and life-altering as the introduction of the automobile or the personal computer — technologies that forced humanity to adapt and changed the course of human history.